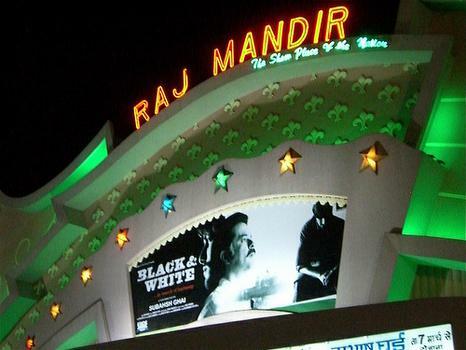 The Raj Mandir Theatre is an experience in itself, from the jostling and general chaos in the ticket line, to an audience that laughs, cries, cheers, claps, and consistently talks through the entire film. The Raj Mandir Theatre is an experience in itself, from the jostling and general chaos in the ticket line, to an audience that laughs, cries, cheers, claps, and consistently talks through the entire film. Catch a potboiler "masala" movie with action, dance, drama, mystery, and suspense, and enjoy with the friendly audience.